Halloughton is a small village in Nottinghamshire, located 9 miles west of Newark-on-Trent and is within the civil parish of Southwell. 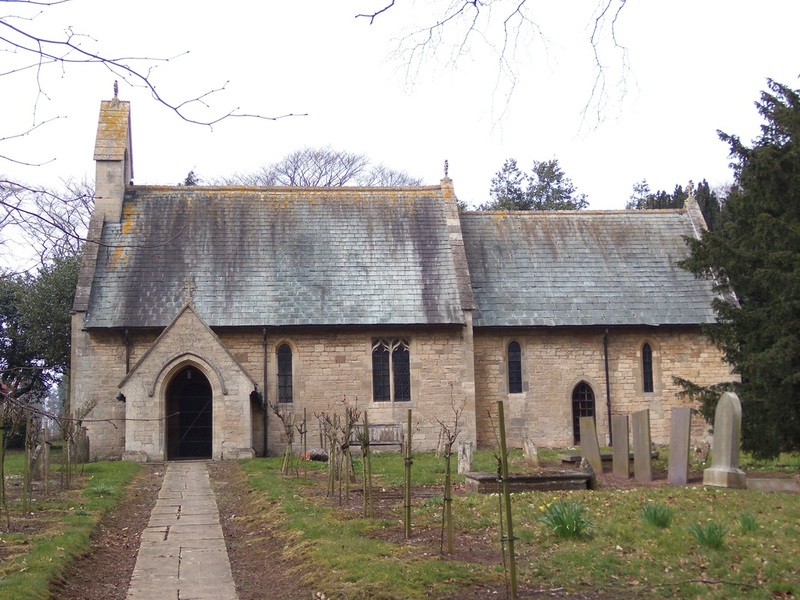 The church was originally built in the 13th Century, with the current church being re-built in 1879-82. St James' is Grade II listed. An ancient mansion in the village is supposed to have been the dwelling of a religious fraternity, belonging to Thurgarton Priory, with the establishment being solely for females. In taking up its kitchen floor some years ago, the entrance to a subterranean passage was discovered, which was traced a considerable length. There is an old tradition that it had a communication running to Thurgarton. It is further remarkable, that in taking down a stack of chimneys in the same house, a large recess in the middle was uncovered, in which many human skeletons were found, principally those of children. For full information on how you can expand the Church Micro series by sadexploration please read the Place your own Church Micro page before you contact him.